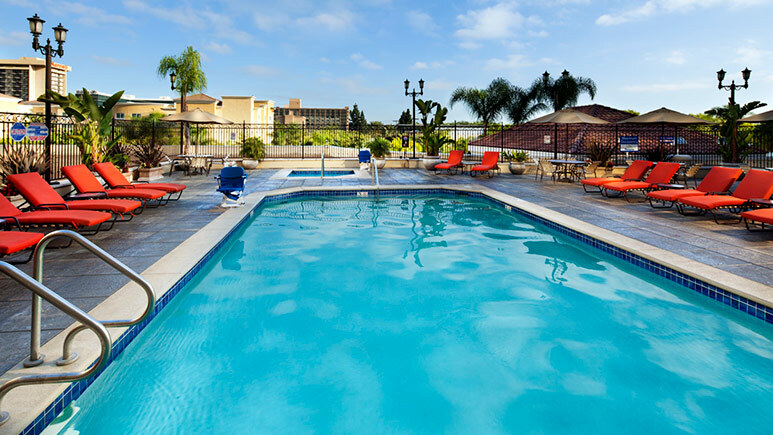 Spacious deluxe suites, in-room microwave and fridge, great pool area. 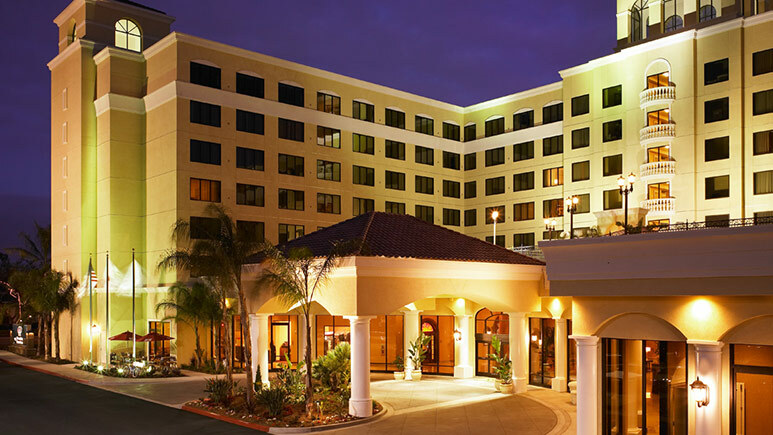 Located a mile from the DISNEYLAND® Resort, this full-service Anaheim area hotel offers new decor, plush bedding, and signature DoubleTree warm chocolate chip cookies upon check-in. 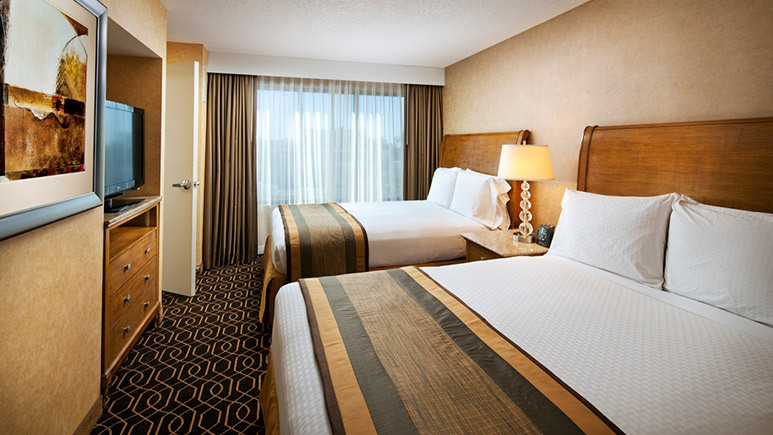 The DoubleTree Suites by Hilton Anaheim Resort Convention Center is an all-suite property perfect for family vacations to DISNEYLAND® because it offers the extra space of a private bedroom and separate living room area. Families will love the pool and fitness area on the 2nd floor deck and parents will love that kids eat free at their in-house restaurant. This hotel felt a little bit nicer than other Double Tree hotels I have stayed in. The rooms are big and deluxe compared to many other hotels. The pool area was really big and on the second floor, so that was nice.